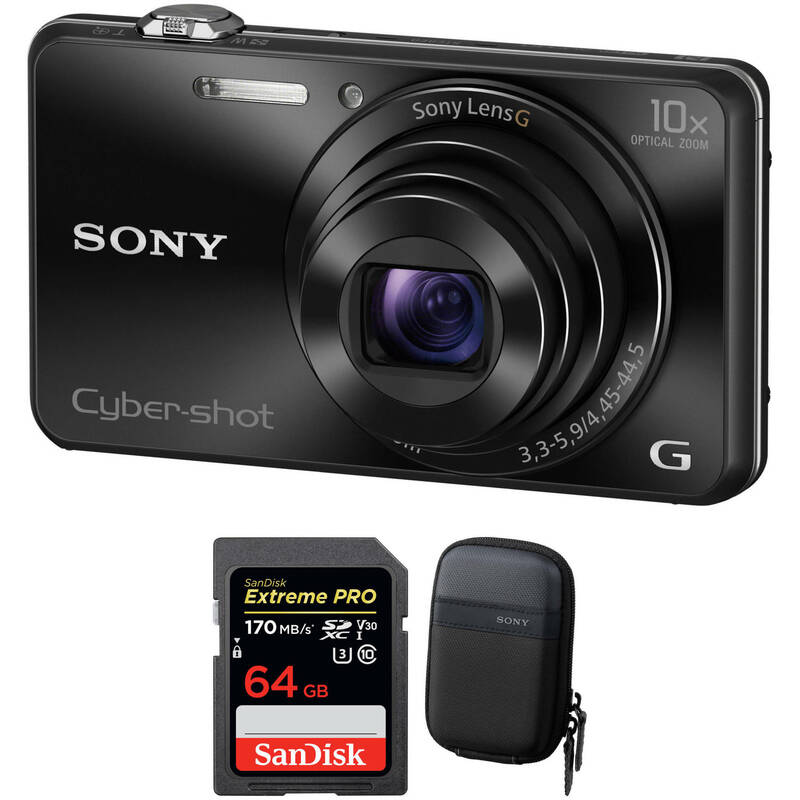 Comprising the essentials needed to begin shooting, the black Sony Cyber-shot DSC-WX220 Digital Camera with Free Accessory Kit from B&H bundles the sleek point-and-shoot with a 16GB SDHC memory card and a protective camera pouch. Store, transport and protect your digital small point & shoot camera from moisture, dirt and dust with the black Lyra 20 Camera Pouch from Ruggard. The pouch features an easy access, zippered, clamshell opening, and an interior SD memory card pocket. Soft, padded, interior nylon helps protect your camera from impact, scratches and abrasion. This protection is complemented by a weather-resistant nylon exterior. Carry the pouch with the handy belt loop with touch-fasten tabs, or with the removable shoulder strap. The bright yellow interior makes it easier to locate stored items in low light. Box Dimensions (LxWxH) 8.4 x 5.4 x 1.5"
Cyber-shot DSC-WX220 Digital Camera with Free Accessory Kit (Black) is rated 4.4 out of 5 by 5. Rated 5 out of 5 by Scott from SO FAR SO GOOD Replaced a 7 yr old camera that seems to be giving up.? We use WX220 to take pictures at trade shows usually ranging from 50-250 pictures per week.? Would purchase same again. Rated 4 out of 5 by John W from Problem with image sensor. / Sympathetic service About 13 months after I started using my camera, it developed some spots on the image sensor, leading to spots or circular dark smudges on photos. One spot at the upper left of images was particularly noticeable. Dirt may have entered the camera somehow, but there is no way to say how, since it is not an exchangeable lens camera. Anyway it shouldnt have deteriorated so quickly. I returned the camera to the designated Sony repair contractor (Precison Camera) for out-of-warranty repair. The estimated repair cost was about $110. Sony got back to me very quickly. They decided the camera could not be repaired economically, but they offered to exchange it for a brand-new camera with 12 month warranty at a cost of only $60. I regard this as a very good deal and accepted it immediately. Considering that I have used this camera a great deal in the past year, getting many excellent photos, I am very satisfied with the situation.